Self Publishing enables all prospective writers to publish their work and earn from the subsequent sales proceeds. DawnBells works towards getting your work out there into the online eBook market place and provides you with a platform and gives you the writer with enough exposure to grow into a mainstream author. We do this in steps which involve first accepting your submissions through our portal and then the evaluation of your work begins. Once accepted the work is published. 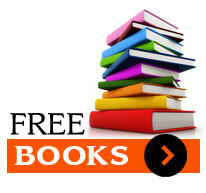 As a new writer, DawnBells is the best eBook publishing platform around. With ZERO investment on publishing and 70% royalty, we offer the best returns on your published work. We charge only for assigning the eBook ISBN which is a service fee. Just register as a writer and submit your work to us. Once accepted we assign the ISBN for your eBook and you get all rights. You can market the eBook from your end too. Note: Read the writer guidelines before you submit your work and we only accept submission from writers who already don't have a contract or agreement with any publisher.